A street scene in San Francisco’s Glen Park neighborhood. Tucked away in the south central part of San Francisco, the Glen Park neighborhood feels more like a quiet village than part of Northern California’s busiest city. Glen Park residents consistently point to the neighborhood’s BART station as one of its major perks. Despite feeling removed from the hustle and bustle of downtown San Francisco, residents can take BART to the Financial District in 10 minutes. Trains run very frequently on weekdays since four of the system’s five lines service the station. Glen Park also offers easy access to Interstate 280, convenient for those who commute south to Silicon Valley. Many motorists prefer 280 to Highway 101 because it tends to have fewer traffic jams. Residents can take in impressive city and Bay views at local Billy Goat Hill park, while those who want to venture out on a hike have the Glen Canyon Natural Areas in their backyards. The canyon includes 60 acres of urban wilderness and is known for its gorgeous spring wildflowers and unique rock formations. The Glen Park Recreation Center offers a number of activities for both children and adults, including music and dance classes and baseball, basketball, and volleyball leagues. 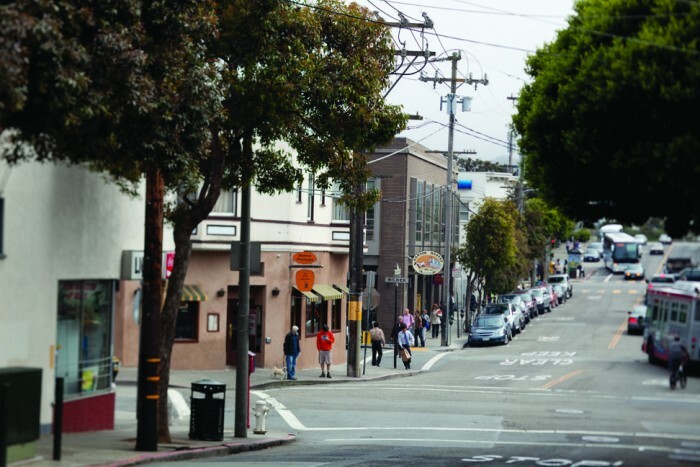 Although much of the neighborhood is residential, Glen Park does have a small central business district about a block from the BART station centered on the intersection of Chenery and Diamond streets. Local favorite eateries include Chenery Park, which serves Cajun-inspired American food, and Italian restaurant Manzoni. While the neighborhood offers few nightlife venues within its own borders, residents seeking a night on the town have no shortage of options to choose from in the nearby Mission District, also just a BART ride away. Glen Park does have a handful of boutique shops, including Bird & Beckett Books and Records, gift and jewelry store Perch, and home decor retailer Modernpast. Glen Park might be off the radar of San Francisco visitors, but not so for homebuyers: Competition for a neighborhood property has been fierce over the past year and a half. Since the beginning of 2013, the average sales price for a single-family home in the neighborhood has dropped below 100 percent of asking just once, according to MLS data. And that trend only seems to be intensifying; in March and April of 2013, the average Glen Park home sold for almost 30 percent more than the list price. In comparison, the average single-family home in San Francisco fetched about 10 percent above asking in April. The median home sales price in the neighborhood is also currently higher than in the city overall, reaching $1.34 million in April compared with $1.16 million in all of San Francisco. Glen Park home prices have not dipped below the million-dollar mark in more than a year, while those in San Francisco dropped to $872,000 last July.